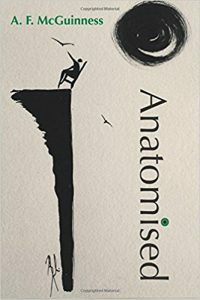 Andrew will be speaking about his book Anatomised and raising awareness of Lyme disease. Inspired by true events, this darkly humorous story dives deep into the heart of one of the fastest-spreading, most controversial illnesses in the world: Lyme disease. When comedian Jack Mann and his wife Alice are affected, they are forced into a Kafkaesque maze of medical mishaps, exposing conspiracies and unearthing a tragic human cost.Andrew McGuinness is an award-winning author, Fiction mentor, Historian and Lyme patient, campaigner & advocate. More details available on the WhitLit website. The First International Crypto-Infections Conference is being held in Dublin! Looking behind the science of Lyme Disease and co-infections. The invitation and agenda are available for download. Dr Jemsek has treated thousands of patients from all over the world at his clinic, the Jemsek Specialty Clinic in Washington D.C. He is a renowned Infectious Disease doctor and was a pioneer in the field of HIV/AIDS in the 1980s, winning multiple awards for his outstanding contribution to this area of medicine. Then his attention turned to Lyme disease which he feels is a twin epidemic. He is now an expert in understanding the intricacies and complexities of this disease. Over more than a decade, he has designed and developed innovative protocols to tackle the cocktail of infections that often accompanies Lyme disease. He is in the process of collaborating with researchers in the development of credentialed treatment protocols. He plans to open a sister clinic in Ireland within the next 3 years. 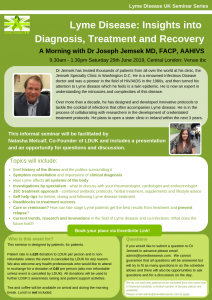 This informal seminar will be facilitated by Natasha Metcalf, Co-Founder, LDUK and includes a series of presentations on different topics by Dr. Jemsek and an opportunity for questions and a discussion. Cure or remission? How can late stage Lyme patients get the best results from treatment and prevent relapse? Current trends, research and innovations in the field of Lyme disease and co-infections: What does the future hold?